A car involved in a fatal hit-and-run in Cheektowaga, New York escaped, leaving only blurry video, a small plastic part, and frustrated police. If there’s any group of dorky gearheads that can help, it’s this group, so let’s see what we can do. The hit-and-run tragically resulted in the death of 55-year-old Robert Prigl. The car is only known as being “grayish” and likely has some front-end damage. These pictures are pretty awful; it seems to be a full-sized sedan, and the tail/marker lights appear fairly high-set. The texture of the curved parts of the piece seem like something external and visible, but it’s quite difficult to say for sure. It’s small, just about 3/4" long. 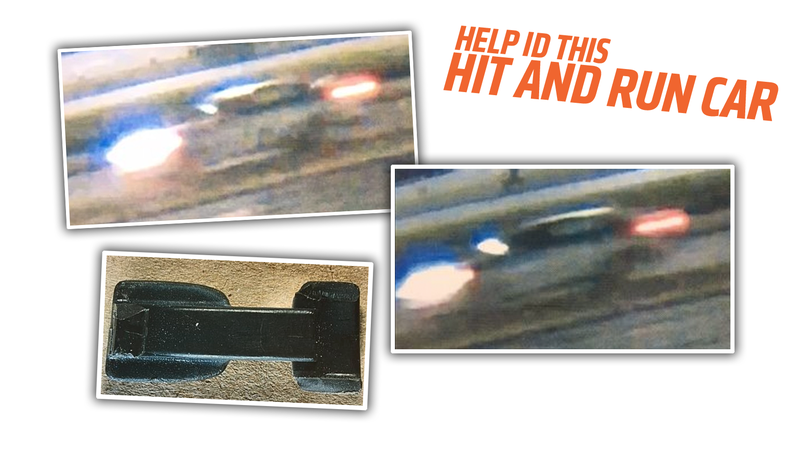 Anyone with any ideas as to what kind of car is pictured or what kind of car once had that part should let the Cheektowaga accident investigation unit know at 686-3580, CD # 17-735682. Maybe we can help? I suspect we can, but this is a tough one. Can We Identify This Hit-And-Run Car From This Headlight Fragment?